You are here: Home / Dating / Reset Yourself and Get On with Life! Today’s DatingRelating.com blog post may be my most scariest one yet. Not for you. For me. I just learned that I’m required to complete my DATING & RELATIONSHIP eBook and put it online for sale before the entrepreneurial program I’m in ends in 4 weeks. OMG!!! Even though my book is almost done, this new requirement/deadline, to not just study my passion, not just talk about it, but actually put it out in the market to SELL, is freaking me out. I mean, I knew that the 26 weeks would go fast, but I really thought I had more time. Since I’m a “Feel the fear and do it anyway” kind of person, I’m taking YOU with me. 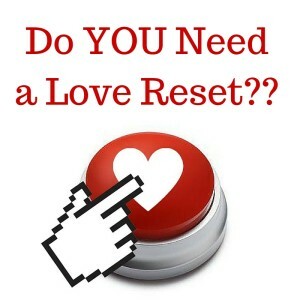 In order to do proper marketing and promotion for the book, I’ve started a closed Facebook group for women interested in learning more about creating a “Love Reset” in their lives. The way I see it, if I’m not ready to tell you that I’m selling a book now, how will I be able to tell you in a month when I HAVE TO??? So here we are. I had originally started writing this book on January 2, 2015, but I got stuck a couple of times over the course of the year. As one of the group moderators of Katarina Phang’s dating forum (Katarina is the author of He’s Really Into You, He’s Just Not Ready), I wanted to make sure that my work didn’t infringe upon hers. Another time I got stalled when I first became a dating blogger, and had to “come out” publically. And even after I started blogging, I still wasn’t sure of the book’s direction. But during the month of December 2015, something interesting happened. For the holiday season of 2015, there were 7 engagements in November in Kat’s group, and 9 engagements in December. This totaled a whopping 49 wedding proposals in our group of 2800+ women. There were also lots of breakups, but I wasn’t counting those. There were also lots of anxiety thanks to holiday expectations. And some of the women who were unhappy in their love lives were also getting triggered by the engagements that were also happening each week. Because I was focused on my other blog about blogging, I was “leaning back” from the group, totally in observation mode. But the group was so hyperactive, I was still aware of a crazy level of emotion being expressed. Even for this group! Whew! From time to time, we all need a reset to find our groove again. 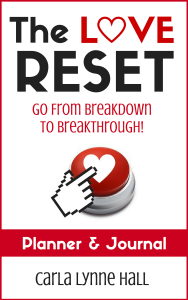 I’ve had a healthy share of difficulties and challenges in my life, but I’m proud to call myself “The Reset Queen”. 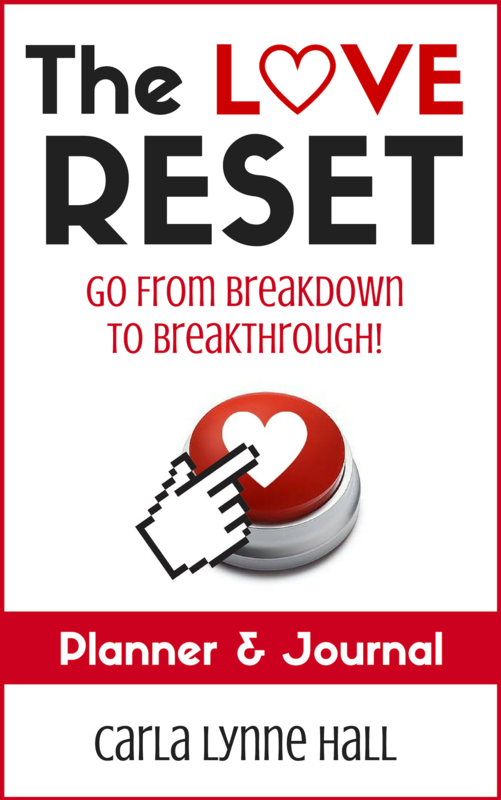 My ebook is about helping women “reset” themselves, so they can get have they want. Starting TODAY, I am posting content from my upcoming book, ”The Love Reset” (my working title). To get myself and everyone else warmed up, I’ll also be posting videos and sample chapters over the next few weeks. If you’d like to join this Closed Facebook group, just click below. Thank you, and I’ll see you on the inside! While being in pain over a lover is not to be minimized, it doesn’t have to be maximized either. Most of us have to go to work, school, raise kids, and take care of business. Wallowing and crying over a man is simply a luxury that we cannot always afford. Sometimes, you just need to do something so you can refocus on the task at hand. The thing that all of these actions have in common is that they are a “pattern interrupt”, in which you force yourself to do something out of the routine, especially when you feel like you’re spinning your wheels. The more physical the action, the better. The point is to shake yourself up! 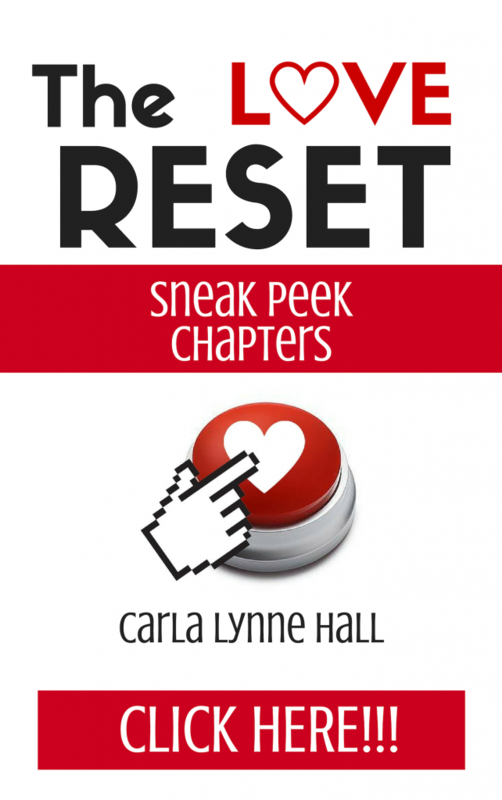 Hope you’re enjoying today’s sneak peek of “The Love Reset. Keep coming back! In the meantime, check out Katarina Phang’s eBook, He’s Really Into You, He’s Just Not Ready, and get ready for YOUR “Love Reset”!